Ahead lies the desecrated remains of a paladin who fought nobly in battle against some sort of vicious being. His armor is in shambles as the poor victim has been mutilated and eviscerated; his face being torn apart beyond recognition. Upon readying a prayer for the destroyed knight, the body exhales a deathly groan as it slowly lifts itself off the ground. The corpse’s lifeless eyes gaze upon all of you as its jaw hangs hide open. Several lumbering zombie-like creatures follow suit. Does Not Need: Air, Food, Drink, or Sleep. Speed – Reduce speed by 10 feet if at least one base speed is 30 feet or more, otherwise reduce by 5 feet if lower. Senses – Darkvision 60 ft.
Undead Fortitude – If damage reduces the zombie to 0 HP, it must make a Constitution saving throw with a DC of 5 + Damage taken, unless it is radiant damage or a critical hit. On a success, the zombie drops to 1 HP instead. Alignment – As they are not fueled by negative energy, they are not empowered by evil necromancy. They are unaligned. 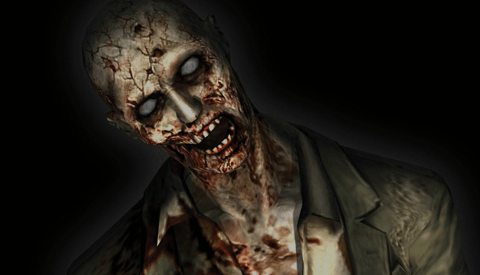 Infectious – Any creature hit by a Viral Undead’s natural attacks risks becoming infected. After being hit by an attack, the target must roll a Constitution saving throw equal to 8 + the Viral Undead’s proficiency bonus (For example, standard Zombie from Monster Manual has a 2 bonus, making DC 10). If the target fails, they have contracted the Zombie Plague. Ravenous – The Viral Undead gains an obsession with attacking any living creature it comes upon, sometimes trying to eat them. The Viral Undead makes no attempt to fight this impulse and gets ready to attack. Viral Awareness – Viral Undead haven’t lost all of their intellect during infection. When creating a viral undead creature, take the zombie’s mental stats and add 4 (which were typically reduced as NPC rules in the DMG, P. 282) to each of them. Furthermore, Viral Undead gain advantage to deception checks to disguise as regular corpses. They will never attack any other undead creature created by the same plague as them. You have Necrotic resistance as well. They do not give off necrotic energy (for Detect Evil, Divine Sense or related abilities/spells), despite being undead. If they had any special class abilities (such as martial maneuvers) or spell abilities, they lose them. If the creature has a challenge, increase it by 1. The dreadful plague within these victims refuses to let its victim die. When a Viral Undead has succeeded its Undead Fortitude, it can elect to bluff death instead. Upon doing so, it stabilizes for at least one hour as the plague improves the damaged body. Blood begins to circulate once more as its sweat out of the skin, giving the creature a haunting crimson glow! They also regain any speed they lost from the previous template. They lose Darkvision 60 ft and gain Blindsense 60 ft in its place. Requires Constitution Saving Throw every 1d10 minutes; trying to remove disease through magical means will bring it down one step. Only a true cure can fully stop it. Step Zero (Cured) – You no longer suffer any effects of this disease, you are cured. Stage 1 (Initial Effects) – Your maximum hit points have been reduced by 1d10 hit points. You cannot recover HP beyond your new maximum until cured. Stage 2 – Your maximum is reduced by another 1d10 hit points. You also have disadvantage on all attack rolls and skill checks and your speed is reduced by 5 feet. You do not regain hit points and cannot use hit dice during short rest. Furthermore, you have resistance to Poison damage and the Poisoned condition. Stage 3 – Your maximum is reduced further by 1d10 hit points. You have disadvantage on all rolls made by you. You cannot regain hit points during a long rest. If your base speed was 30 feet, your speed decreased by another 5 feet. However, you gain Darkvision out to 60 ft (does not stack with previously existing darkvision) and gain immunity to poison damage and poisoned condition. Stage 4 – You are unconscious, healing of any kind does not effect you. You are essentially helpless. Stage 5 – You die and become a Viral Undead 1d10 minutes later. While you turn, your skin rots slightly before necrosis seems to end for no reason. You regain up to your maximum in Hit Points and become a Zombie equal to your level and proficiency bonus with the Viral Undead template. You lose your class abilities and any ability to cast spells if you had them. NOTE: If an infected character drops to 0 Hit Points or if their maximum HP is reduced to 0, they automatically go to stage 5. Green – Allows user to gain HP equal to 1 hit die without needing to spend it. Mixing multiple green herbs stacks the effects. Red – Allows the same effect as green, but multiplies result by your level instead. Cannot be used alone! Blue – Allows user to treat a poisoned effect, paralysis or related effects. In order to do this, you must be proficient with the Medicine skill. Combining herbs into a Herbalist cure takes one hour to mix two herbs and two hours to mix three. A solution cannot have more than 3 herbs total. Eating any herbs and/or mixture gives an infected character an extra save as a bonus action. If they fail, they do not become worse on the disease track. If you fail your check, the ingredients are not wasted, but you must wait until you can try again. Alternatively, you can rule that the ingredients are wasted and you must find more herbs before trying again. Created by Doctor Necrotic for Doctor Necrotic Media. 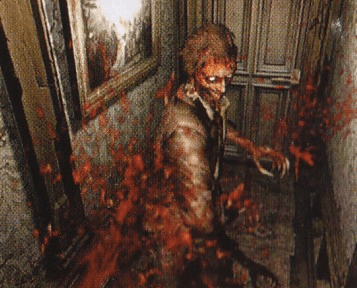 Based off various aspects from the Resident Evil series, a property of Capcom.